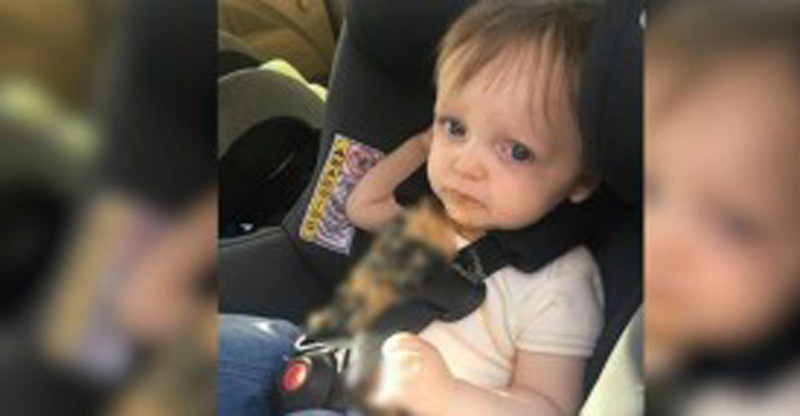 Home » life » A baby throws up in the car. What the dad does next has cops showing up at the scene. 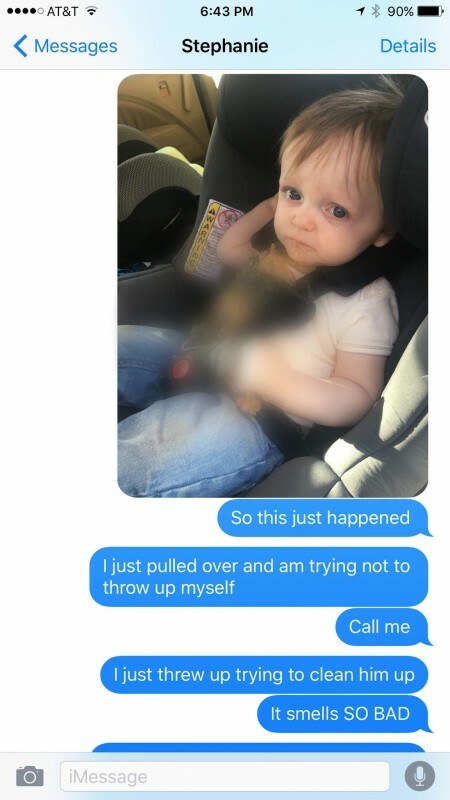 A baby throws up in the car. What the dad does next has cops showing up at the scene. When Ben Patterson's wife wanted to go out with some friends after work, he was happy to give her the night off. They swapped cars so that she could head out, and Ben took the kids home. 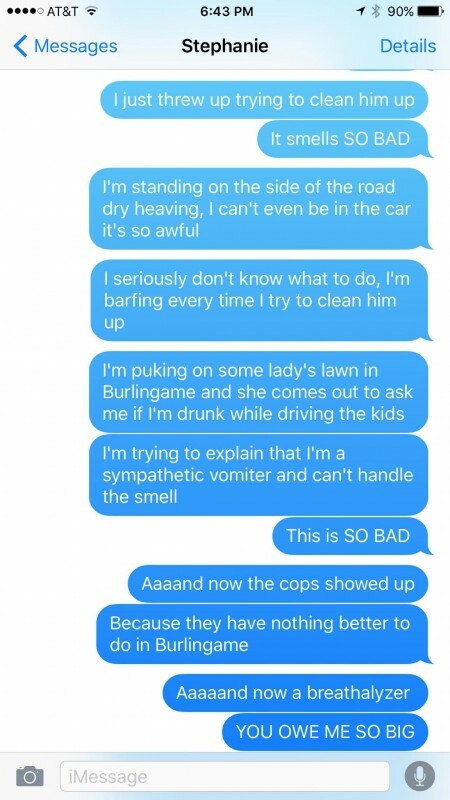 But on the way home, their son got sick, and the result was pretty horrifying. He tried to text his wife, but she was in a loud restaurant and couldn't hear her phone. Meanwhile, things were getting even worse for Ben. As he pulled over to deal with the issue, a bystander noticed and called the police on him. He will probably think twice the next time his wife has plans to go out! Share this story with any parents you know by clicking the button below!